Is the Valmiki Ramayana meant to be sung and not read? Valmiki refers in the narrative of the Ramayana that it is composed in a manner which is meant to be read as well as sung. Ramayana is a beautiful amalgamation of Pathya and Geya, which mean respectively, that which is read and that which is sung. Is there a lot of reference to and discussion about music in the Ramayana? The Ramayana is replete with direct and indirect references to music and within the narrative itself, it is sung by Lava and Kusha, the sons of Rama and disciples of the poet-sage Valmiki. The epic is an important source of information on the development of music during the period, the different prevalent techniques of music, the emotive aspect of music and a vast range of musical instruments played then. How much of a link did you find in the music of that time and Indian classical music as it is practised now? 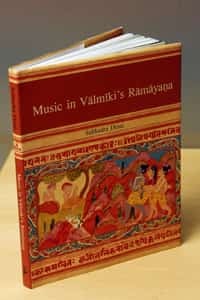 There is a direct link between the music of Valmiki’s time and music as it is practised today. The references to the musical techniques of Sthana, Murchana, Karana, Jati, Tala, Pramana and Laya in the Ramayana are valid and operational even today. Any thing unexpected or striking that you came across in the course of your research? Though not exactly novel, I remember being struck by Valmiki’s description of the emotive aspect of Lava and Kusha’s singing, which “moves its listeners to tears". 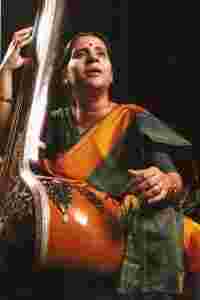 “Their music deludes them completely, touching their hearts, souls and minds," writes Valmiki. What did your research throw up on the role of music in the life of people during those times? In Ramayana, Vedic hymns are chanted as part of rituals and sacrifices; women sing on auspicious occasions; celestial musicians and dancers entertain royal guests; royal women are adept at playing complex musical instruments; reverberant instruments are played during wars to inspire warriors; many references exist of orchestras, dance and drama guilds; ballad singers sing eulogies; and musicians are extended royal patronage. So music was an important aspect in the life of people during Valmiki’s times. Are there any sources from India’s ancient past which can be used to innovate in the field of classical music today? Music treatises such as Bharata’s Natya Shastra, Sharngadeva’s Sangita Ratnakara and a vast selection of Sanskrit literature dating back to several centuries are rich and invaluable treasures of Indian culture and heritage. They need to be re-read, understood and analysed in order to find newer horizons in the field of music.